Sri Lankan authorities are battling on two fronts to restore confidence in Ceylon Tea, sending delegations to Japan and Russia where the country’s main agriculture export has encountered problems. Efforts are being made to boost the product image in Russia while the delegation to Japan aims to discuss new regulations on use of weedicides in the absence of the popular glyphosate in Sri Lanka. Earlier Ceylon Tea was temporarily banned and lifted in Russia and to rectify the damage, a tea promotion campaign was being held during Sri Lanka’s Independence Day celebrations. The PR programme would be carried out on February 26 and 27 as “we feel that there was a very much negative impact so this will boost the image of the Ceylon Tea,” Sri Lanka Tea Board (SLTB) Promotions Director Premila Srikantha told the Business Times. She noted that a major trade show starting on February 3 had been organized as the SLTB had wanted to participate in the celebrations to mark 70th Independence Day in Russia. With the Sri Lankan Embassy making plans to mark the event the SLTB had already been part by organizing a Ceylon Tea party on February 26. The special Ceylon Tea promotions would be held alongside the event and a dedicated event with winners of tea masters from the different regions also participating to demonstrate Ceylon Tea and how it could be brewed along with cultural events and a special tea commercial shown as well. This commercial is said to be part of the global tea promotion. Authorities had increased the scale of the event with the promotions held at a special venue Lotte Hotel in Moscow, officials said. Meanwhile, a delegation headed by SLTB Chairman Dr. Rohan Pethiyagoda and including Tea Research Institute Director Dr. Sumith Abeysinghe and SLTB Laboratory Director Nishantha Jayatilleke have gone to Japan to discuss new regulations by the Japanese authorities on residue levels found in tea. According to these rules, Japanese authorities want residue levels to be at 0.01 level and in this respect in the absence of the use of glyphosate in Sri Lanka authorities want to ascertain how it could be worked out for substances like NCPA, another weedicide. Sri Lanka has seen a few of its Ceylon Tea shipments to Japan getting rejected due to the high residue levels of weedicide found in it. 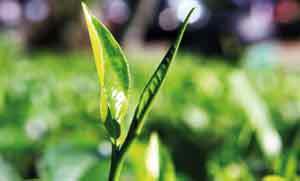 Japan imports nine million kilos of tea worth over US$70 million from Sri Lanka. Tea Exporters Association President Jayantha Karunaratne said that this high residue levels in the tea was affecting the industry as certain buyers in Japan cannot buy the teas as authorities would have rejected them based on random checks carried out on the teas. Local authorities have been in discussion with the industry as well on this matter with a meeting held last Tuesday as well in this regard.